Function took top priority in this kitchen designed for an active young family by Castle Design and Alspaugh Kitchen & Bath. After living with their existing space for five years to determine exactly how they wanted their new kitchen to function, the renovation began with walls being removed and support beams installed, which resulted in an open, spacious family hub. Traffic flow and efficiency were crucial, so careful consideration by the designers was given to the exact placement of the prep sink, trash and pantry organization, which includes organizers on the doors’ backs and kid-friendly snack drawers. Other storage solutions include a lift-up appliance garage to keep clutter at bay and a handy drawer insert near the range for space storage at point-of-use. The custom-designed hood perfectly complements the beveled linear subway tiles. 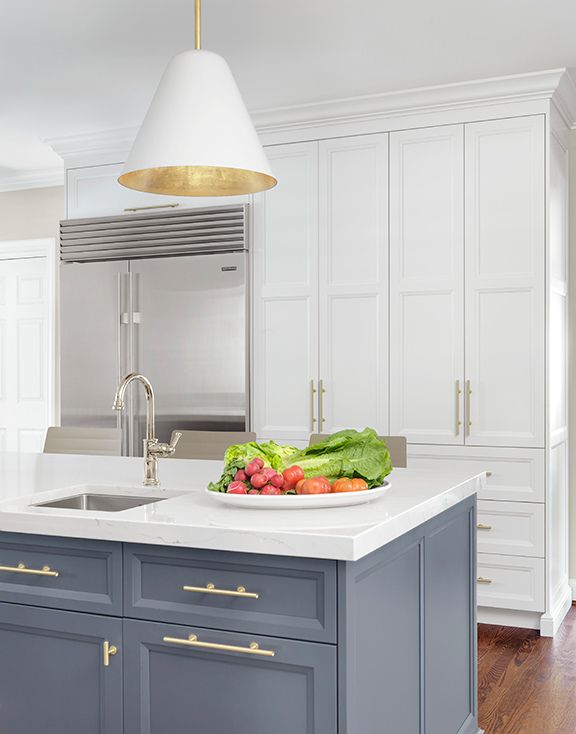 Brushed gold finishes accent the cabinetry hardware and oversized island pendants. 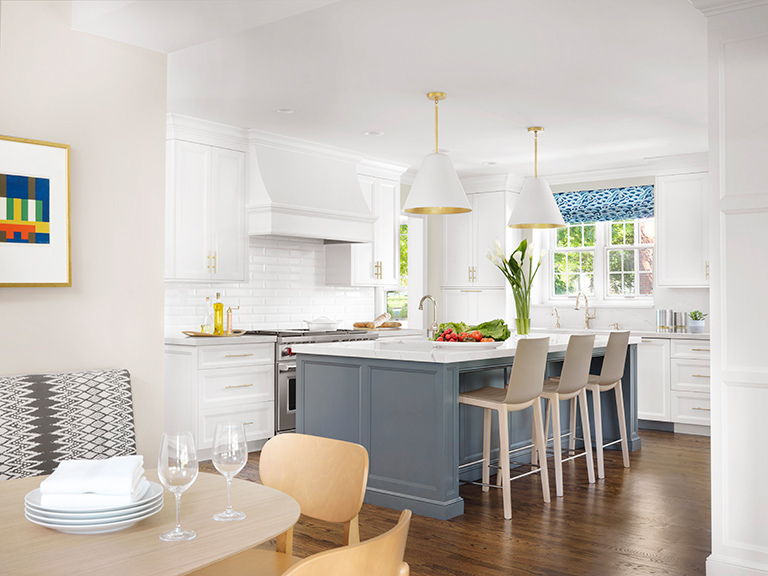 High style merges with thoughtful function for a classic, contemporary kitchen to last this family a lifetime. We love the simplicity of the subway tile, and the beveled edge really enhances the look. The layout feels so practical for a family, and the touches of gold elevate the style.